this year for the kids on race day!!! 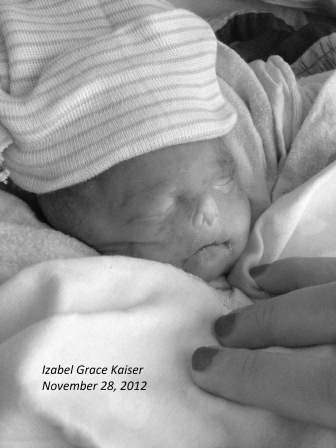 2nd Annual Hustle for Hydrops 5K, 12K and 1 mile fun run to celebrate the life of Izabel Grace and raise money to benefit research for hydrops fetalis! Race Day Registration is available at Five Points for all races from 7-7:55a and for the 1 mile from 7-9:20a. Just in time for Christmas! During the race and after, there will be a craft show featuring homemade crafts. Please submit the vendor application. Thank you for your interest! Keps will have Scooter from KISS 98.5 spinning the tunes. Also Keps will donate 10% of all drink/food sales all day. Please complete and submit the contact us form. Hustle for Hydrops is working to support the future research and development of Fetal Hydrops through an established Federal 501c3 named Brianna Marie Foundation. All of your donations will directly support OSF Maternal Fetal Diagnostics.